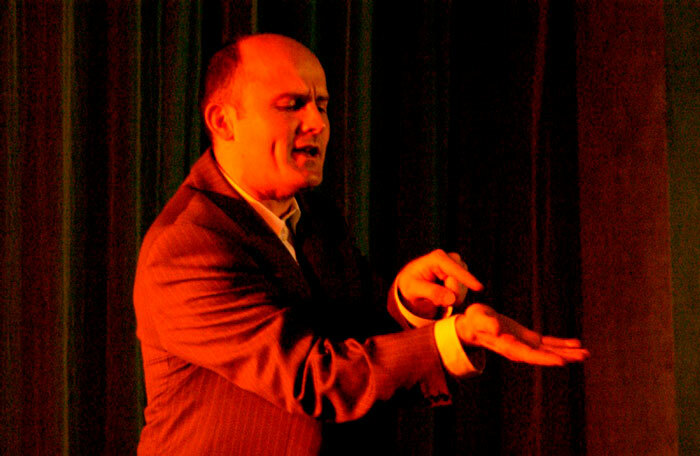 Glenn Hazeldine has been a regular on STC's stages for over two decades. 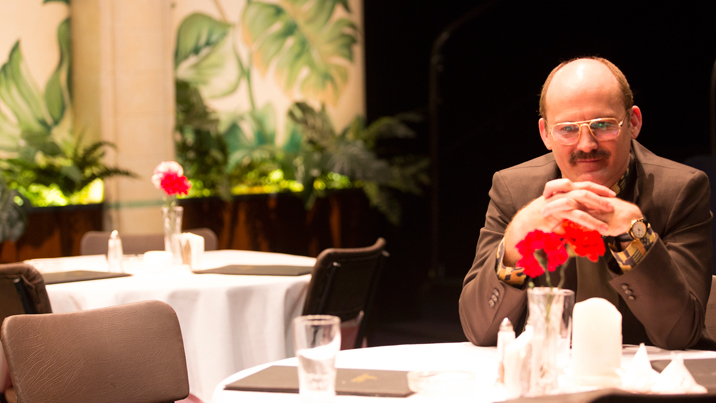 Fresh out of acting school at NIDA, Glenn's very first professional gig was with STC, performing in David Williamson's Dead White Males, directed by our then Artistic Director Wayne Harrison. 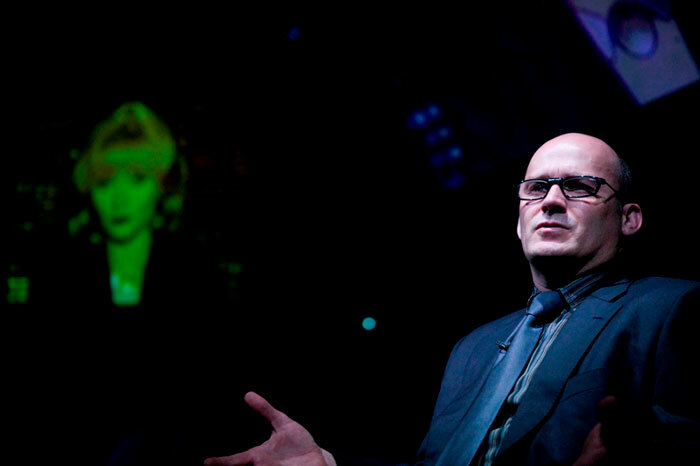 Since then, Glenn has worked with a roll call of great directors and writers onstage while contributing significantly behind the scenes as well – Glenn is a tireless advocate for actors as part of the Actors' Equity National Performance Committee and as Deputy Chair of The Actors Benevolent Fund of NSW. He's even helped us out by hosting a fundraising trivia night. In 2017, he returns for Michael Gow's Away and The Father. Here, we sift through our archives and find some of Glenn's previous STC apperances. Glenn's debut came in 1995 with David Williamson's Dead White Males. 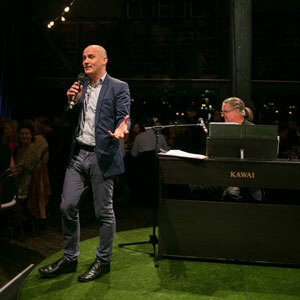 The production opened at the Drama Theatre, Sydney Opera House, before launching into a national tour that covered everywhere from the Gold Coast to Perth. Here, Glenn's pictured alongside Kelly Butler. Glenn had barely returned from tour when he began work on Two Weeks with the Queen, Mary Morris' adaptation of Morris Gleitzman's much-loved novel. Glenn played 12-year-old Colin, while Mitchell Butel played his lassoing cousin Alistair. 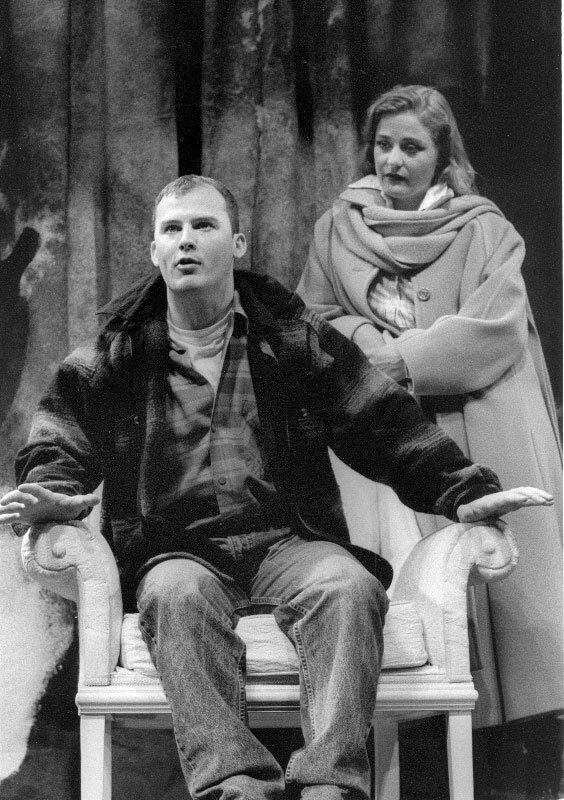 John Howard might be best known as an actor, but he also directed several shows for STC in the 1990s. 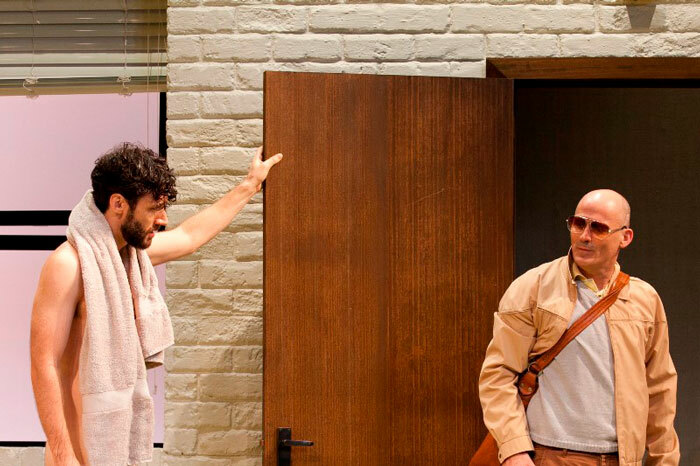 Having acted alongside Glenn in Dead White Males, John cast him in this one-act play by Australian writer Noelle Janaczewska, with a cast that also included Joel Edgerton and Odile le Clezio. 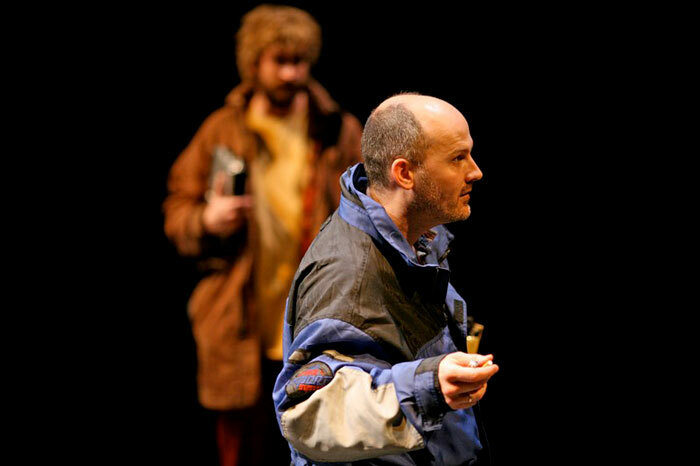 Glenn and John Howard were back onstage together in Nick Enright's Mongrels, a play loosely based on the relationship between two earlier Australian playwrights – Jim McNeil and Peter Kenna. Here, Glenn is pictured with Kirrily White. 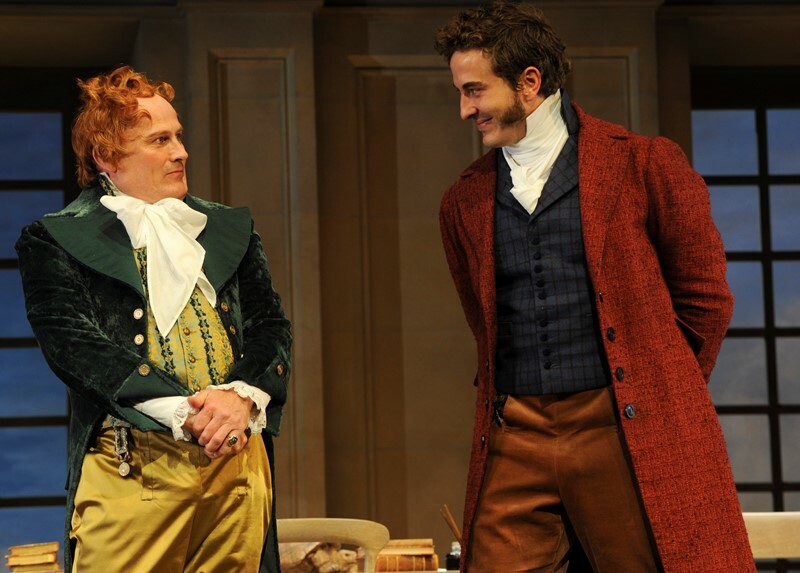 Glenn and Joel Edgerton reunited in the restoration comedy Love for Love by William Congreve. Glenn, as Jeremy, played servant to Joel's character, Valentine. Six years after Love for Love, Glenn was back at STC and back in Restoration England. Howard Barker's Victory - Choices in Reaction, directed by Judy Davis and Benjamin Winspear, is a play written in 1983 that looks at the historical period after Britain's Charles II is restored as king in 1660. In Benedict Andrews' production of Shakespeare's Julius Caesar, Glenn played Decius, the man who convinces Caesar to attend the Senate, where Decius and his co-conspirators will assassinate him. 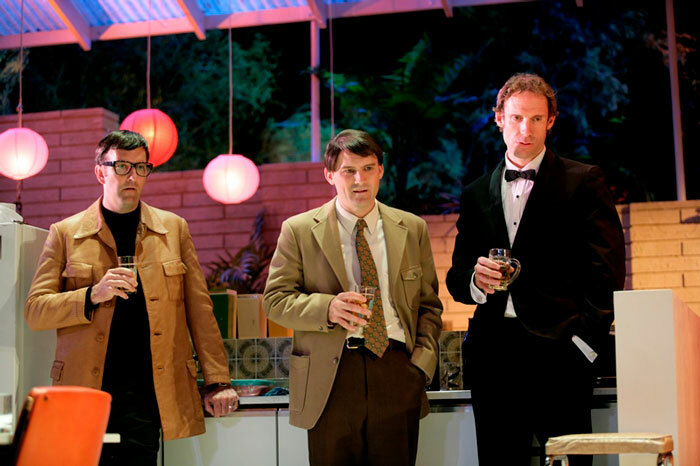 David Williamson's classic Australian comedy was directed by Peter Evans in a co-production with Melbourne Theatre Company. Here, Colin Lane, Glenn and Steve le Marquand watch as the dispiriting election results roll in. 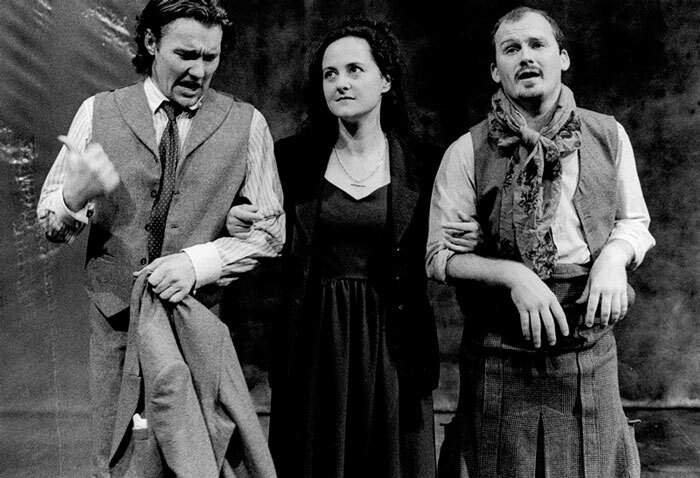 Writer and broadcaster John Doyle's first play, The Pig Iron People premiered in 2008 with Glenn playing a writer, Nick, who hits it off with an actor on his street, played by Caroline Craig. 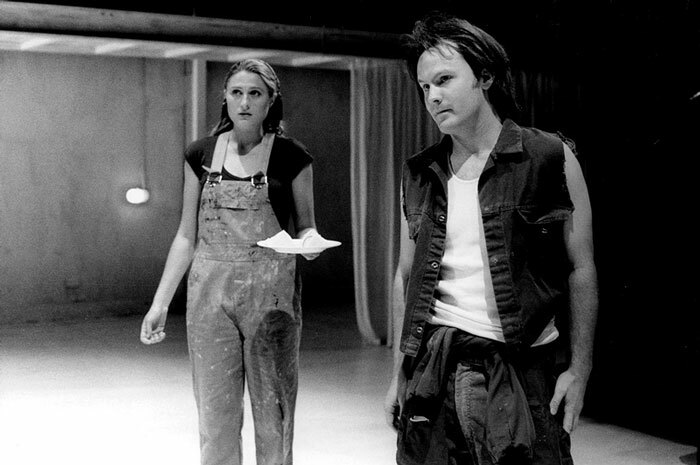 The Norwegian novel-turned-play-turned-movie sensation Elling was directed by Pamela Rabe for STC in 2009. In this odd-couple story of two institutionalised men trying to live together in the outside world, Glenn played Frank Åsli, their social worker. Later that same year, Glenn appeared in Tot Mom, a production written and directed by American filmmaker Steven Soderbergh. In 2014, Glenn returned for the anarchic comedy Perplex by German playwright Marius von Mayenburg, directed by Sarah Giles. And, no, Tim Walter was not wearing anything under that towel. Things only got weirder from that point on. For Andrew Bovell's After Dinner, Glenn grew out his moustache and doubled-down on brown polyester as one of the lonely hearts out on a Friday night somwehere in 1980s Australian suburbia. 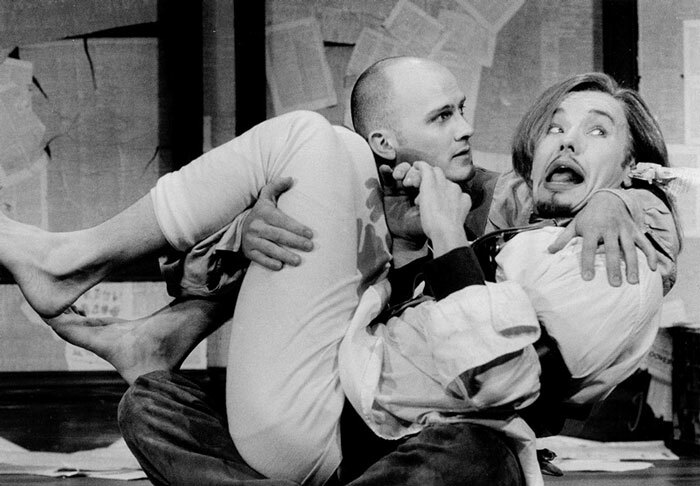 Caryl Churchill's kaleidoscopic play of dozens of scenes and dozens of characters was directed by Kip Williams in Wharf 1 Theatre. Here, Ursula Yovich whispers a secret to Glenn. It wasn't what he expected. 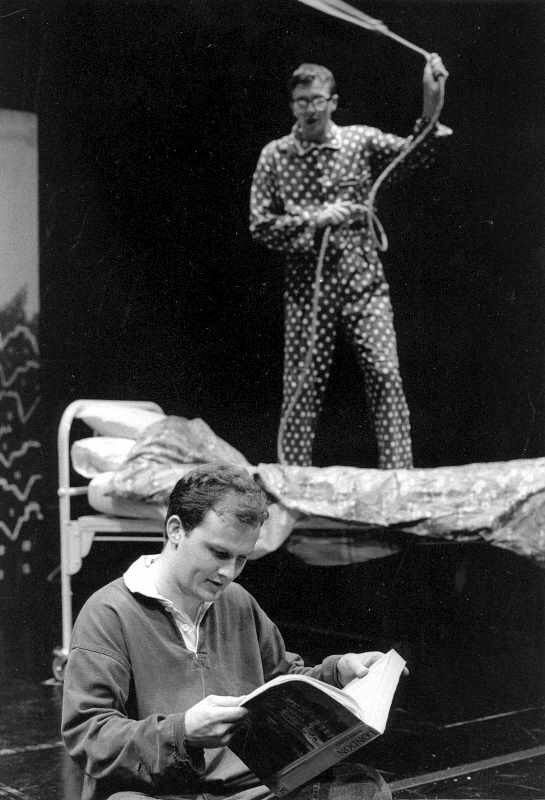 In Tom Stoppard's Arcadia, Glenn played the poet Ezra Chater, whose verse was as good as his dress sense. Despite being recently cuckolded by Septimus Hodge (Ryan Corr), Ezra is putting on a brave face. 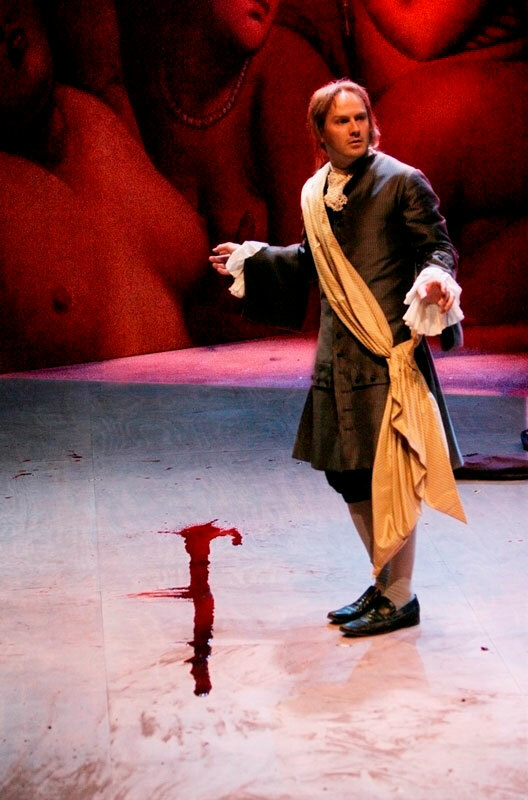 By the end of the play, he has not only been cuckolded but also bitten by a diseased monkey in Martinique. In Michael Gow's Away, Glenn played school principal Roy, whose son recently died in the Vietnam War. As Roy and wife Coral (played by Natasha Herbert, pictured at right) go through a particularly difficult grieving process, their marriage is put to the test.